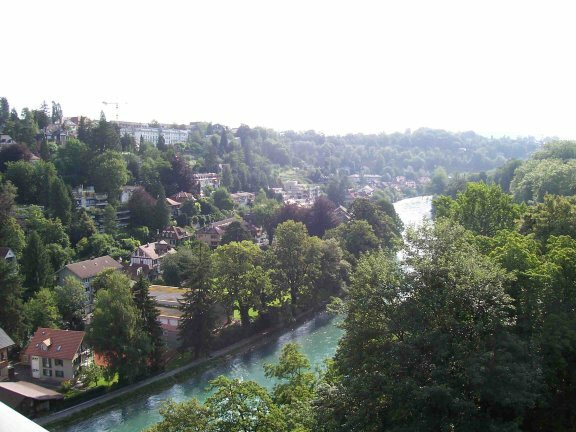 I went back to Bern today to finish sightseeing there. It’s much cooler this week after the rain Saturday. 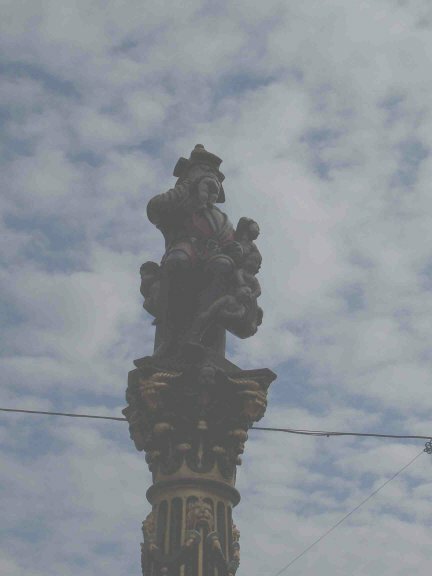 While I saw some things I hadn’t gotten to before, after a week all the statues, churches, and city views all start to look the same after a while. While walking back to the train station, I somehow came upon it from the opposite side and didn’t recognize where I was at first. I took the long way around the building and made the train back to Biel with seconds to spare. If I had missed that train, I might have been a little late to the round. A good thing I was in time, for I found out that I had hit the chess pairing lottery! I say this because I spent the next four hours playing the beautiful Alexandra Wilson. Not only that, but I won and in my classic style. This is the highlight of my trip and may be the highlight of my chess career. I can now die happy. 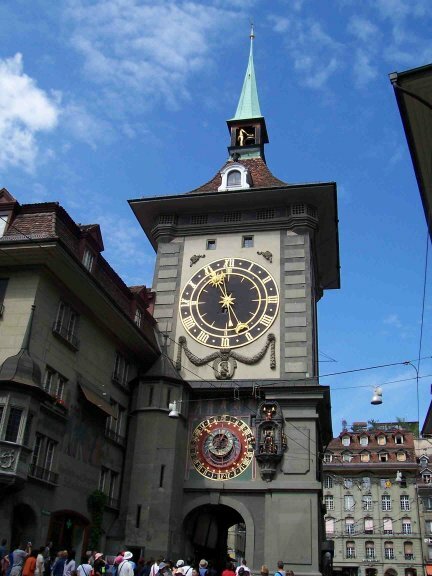 There are a lot of clocks as well as watches in Switzerland. 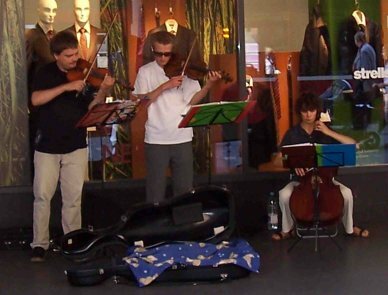 People playing for money on the sidewalk in Switzerland use a higher quality instrument than in the US. 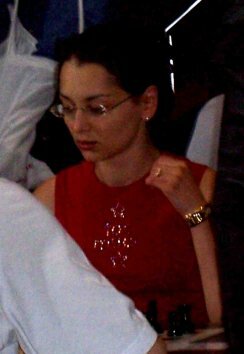 How GM Alexandra Kosteniuk looks when she is not posing for glamour photos.